Usually we see people and societies who argue for self-evident rights. Hardly ever, or never, I had heard about “right to a beautiful face”. We believe that it is something which we born with it, inherent in human. Only that can miss after an accident (burn, etc), an injury… However, there are children who born like that, without a pleasant face, without an expression that could become apparent the immense beauty of their inner. In the presence of these children, adults later, we usually suppress the sights, distract the mind, perhaps – in the better case – pray for them. They are the victim of their classmates, their neighboring, and other people in the street who find them. As adults, they will get the stigmata of ugliness: do not marry a wife or husband, be reject by relatives, nearby people, etc; do not find work, except in a dark corner of some job where they will be accepted or exploited them. Their life is almost certainly forced to be a failure. These people have right to a face, to a means for express the extraordinary richness of their potential that they bring with them. So that, when I was enjoying the film “Beautiful Faces” (www.beautifulfacesfilm.com) felt a warm sense of humanity; this movie helped me to discover the magnificent beautiful, the truth beautiful of the soul of these children, real humans beings, the pain of their suffering, the anxiety of their parents, the humiliation of being so different to the others. Likewise, I identified one of the real goals of medical vocation: the generous dedication, selfless, with high professional level, in a team doctors and collaborators than, even though no have everything of a nation of the First World, they have reached to set up an oasis of hope for those children in the south of the great metropolis of Mexico City. It is a possibility has a medical service of first level there. And it is free. They have achieved not only “cut and stitch”, but they offer a medium to the revered spiritual richness contained in these children. 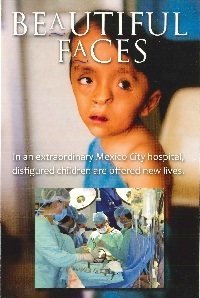 “Beautiful Faces” introduce us in the fascinating work of a medical group directs by Dr. Fernando Ortiz Monasterio. It is “the most exciting clinical of the world, the only place where I should stay”. Dr. Ortiz Monasterio has founded the Plastic and Reconstructive Surgery Unit at Dr. Manuel Gea González Hospital, in the frenetic area of Tlalpan, in the Federal District of Mexico City. His enormous talent, his compassion, his principles provide a font of inspiration as for his collaborators as his patients. He has demonstrated at the most sceptics than until the poorest people can get an official sanitary service with quality without that assistance means the failure of Health System. Each person must be fit to a fundamental human right: to have a common and presentable face. The documentary lead us into the world seeing from the eyes of these children: how they watch to their parents, to their classmate, it reflects the hope that they put on their doctors. 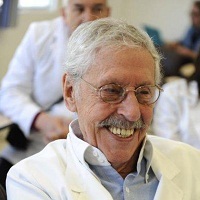 Because of Dr. Ortiz Monasterio does not work alone. An interdisciplinary team of doctors of the highest level surrounds him. Likewise, we can meet the worldwide known Dr. Kenneth Salyer, founder of the World Craniofacial Foundation, and other specialists of extraordinarily high level dedicated themselves body and soul. All of them are developing an exemplary task in a city with a bad reputation in other places of the world. With so many negatives news, so many interests broadcast by the media, to proposals that some people recommend as “the final solution” to these patients, the loss of confidence or discredit to the medical profession, what we see, what we experience with this film gives us hope not only in this gentle exercise career, but in the same human being. Be immense pride in being a medical professional to examples like this: medical training, study, teamwork, humanity to the patient, not to spare resources, but not stopped in the lack of them, have faith and love in the task in hand. “Beautiful Faces” brings hope in this profession, if someone had lost it. It is a marvellous Russell Martin and Alvera de León’s production. Members of UNESCO Chair on Bioethics and Human Rights are extremely proud of sponsoring this project. On 26, July, the “Say Yes Quickly Productions” made ​​its world premiere at the Universidad Nacional Autónoma de México. Constituted a birthday gift, because that day met Dr Ortiz Monasterio 94. Reconstructive Surgery Service, at Hospital General Dr. Manuel Gea Gonzalez, began about forty years. That is, at the time he was fifty-four years. At this age, society rejected many people, and they are unable to find work. Many companies and institutions feel they can not contribute anything new. This Department of Surgery is an example of what can be achieved when there is love in task, conviction for an ideal, ability to inspire others, professionalism and a strong and true love for one’s fellows, but pain and suffering are there. A concrete example of these noble ideals that the world so desperately needs today.